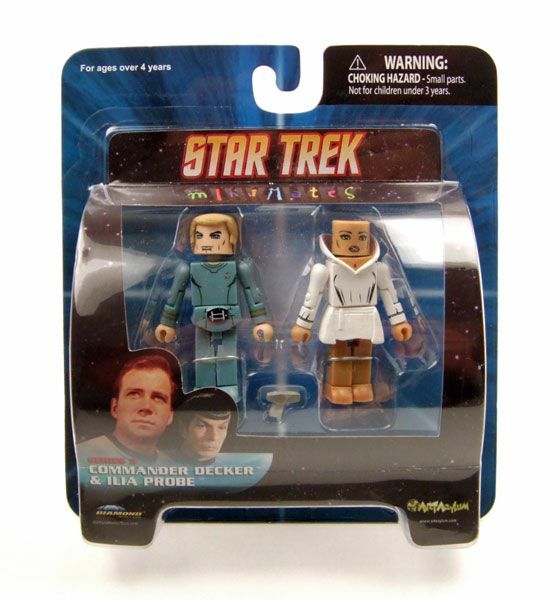 Decker & Ilia were released as part of Diamond Select's fifth wave of Star Trek Minimates. The Rundown: Yay! 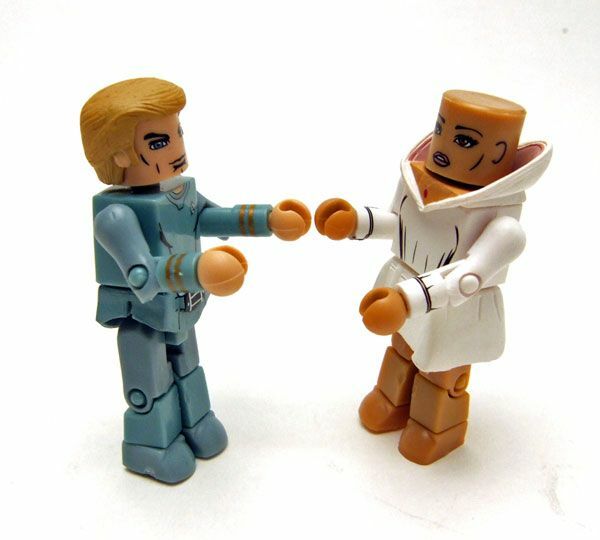 "The Motion Picture" style minimates! 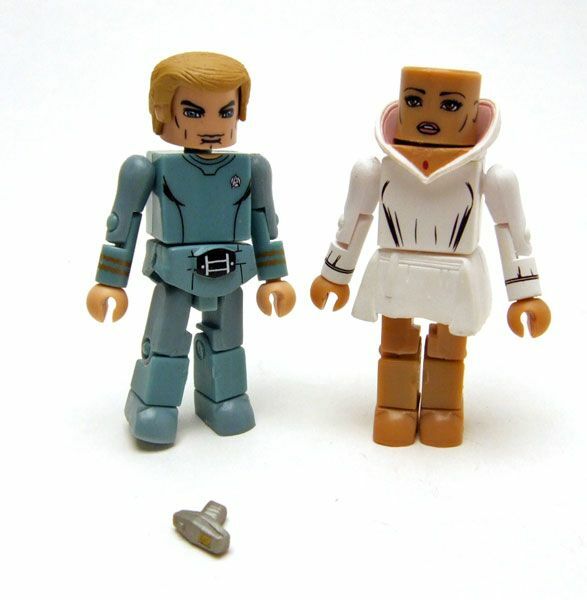 Unfortunately, these are the only 2 minimates inspired by TMP. I would have loved to get the whole crew...but if I could only have 2, Decker and Ilia do make the most sense. Decker looks really good. The likeness is one of the strongest in the minimate line. It actually looks like Stephen Collins in the face, and the hair is just about perfect. DST chose the standard blue/gray uniform for Decker. The outfit is pretty detailed for a minimate, with the waist piece being a highlight. 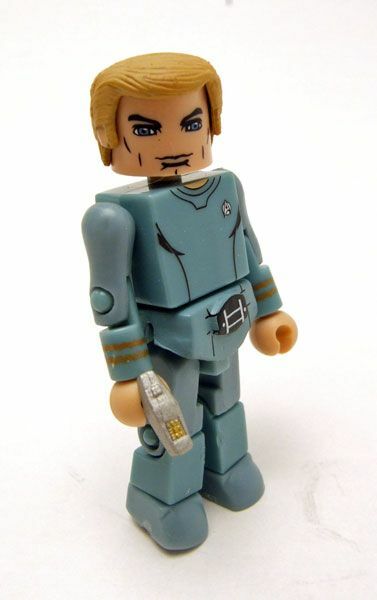 The nice thing about Decker is that he makes a good base for making other TMP styled male crew members. 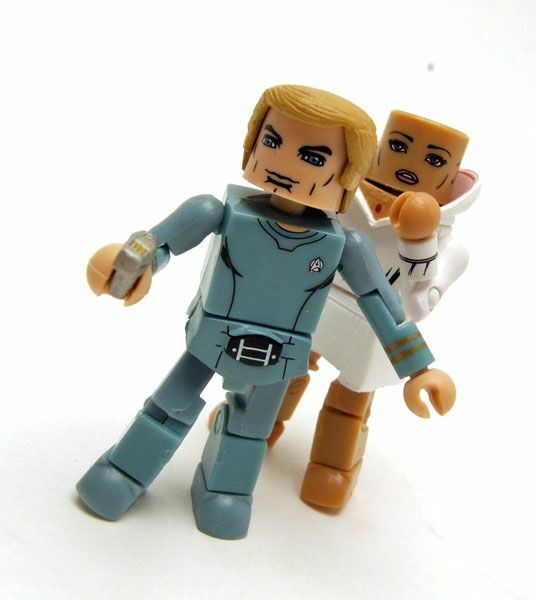 You can can get decent TMP style Kirk, Spock, and Scott minimates out of him with just simple head switches. Ah, but if you do pick up extras for customizing you're going to be stuck with a bunch of Ilias. Since DST chose the probe version, there's not going to be much you can do with her in the way of customs. I can't fault DST for choosing this outfit over the standard uniform though. The probe version is the more iconic look of the character. DST did a fine job of capturing the look, with individual sculpts for the collar and lower shirt. The head is sharp too, replicating the vacant stare seen in the movie nicely. 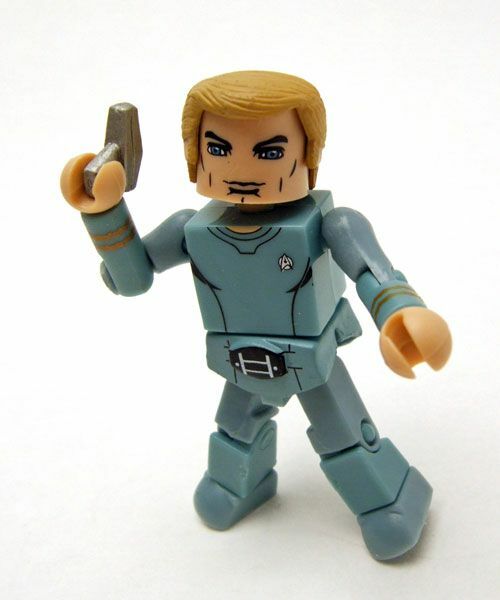 Accessories: The pack only includes 1 accessory- a phaser for Decker. 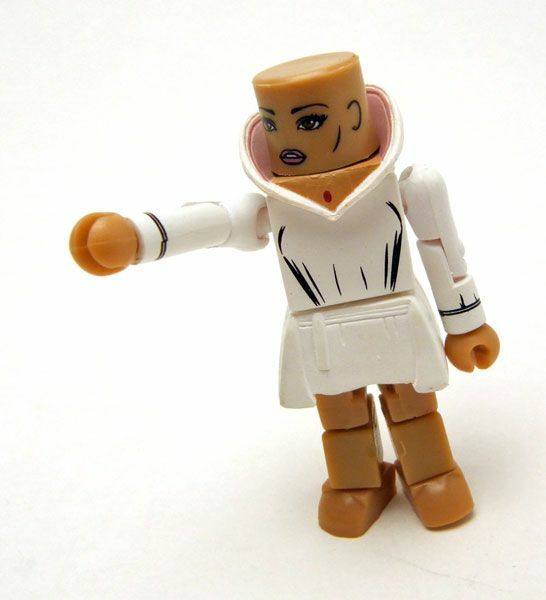 Since Ilia Probe didn't really have anything it makes sense, but I would have loved them to throw in maybe a tricorder or something extra for Decker. 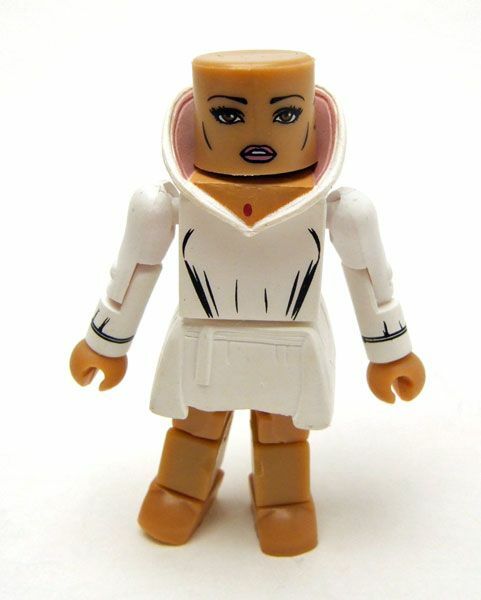 Minimates are an acquired taste to begin with, but you have to couple that with being a TMP fan to make this one worth it. 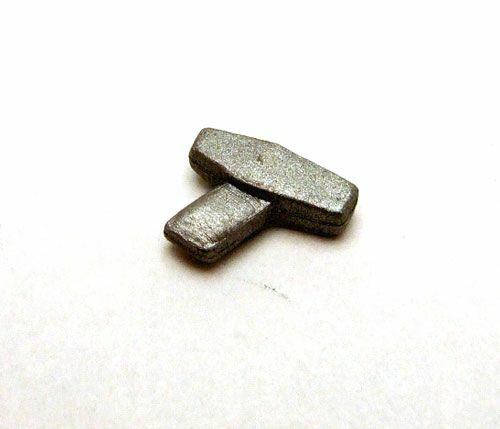 With this being the only TMP style minimates out there, you could easily skip it and never miss having it.It is one of the nicer minimate efforts though, so you may want to give it a shot if you can get it on the cheap.